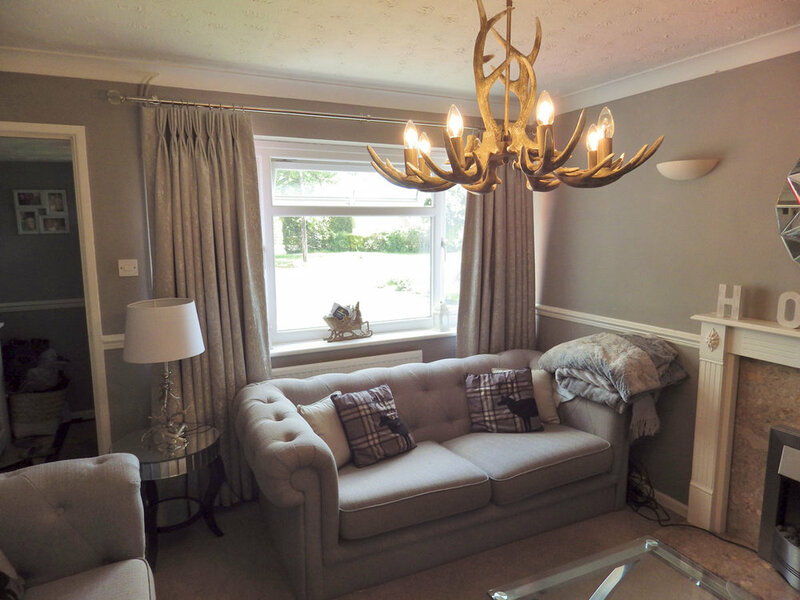 A collection of images containing blinds, cushions, curtains, covers and other bespoke furnishings. This material is from Fibre Naturelle - colour Cltroulle. 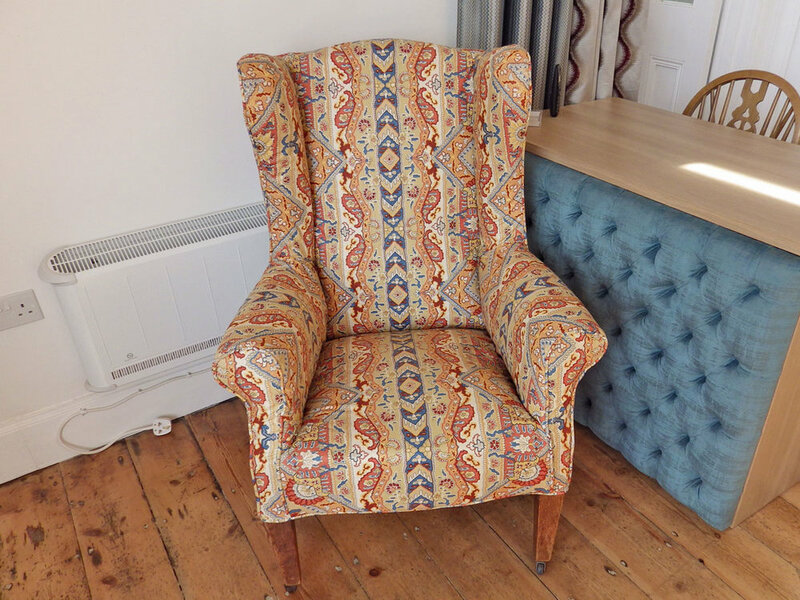 The chair is upholstered, and has pretty button detail to the back. This chair is also covered in the Bon-Bon and is a loose cover. The material is 100% cotton and washable. 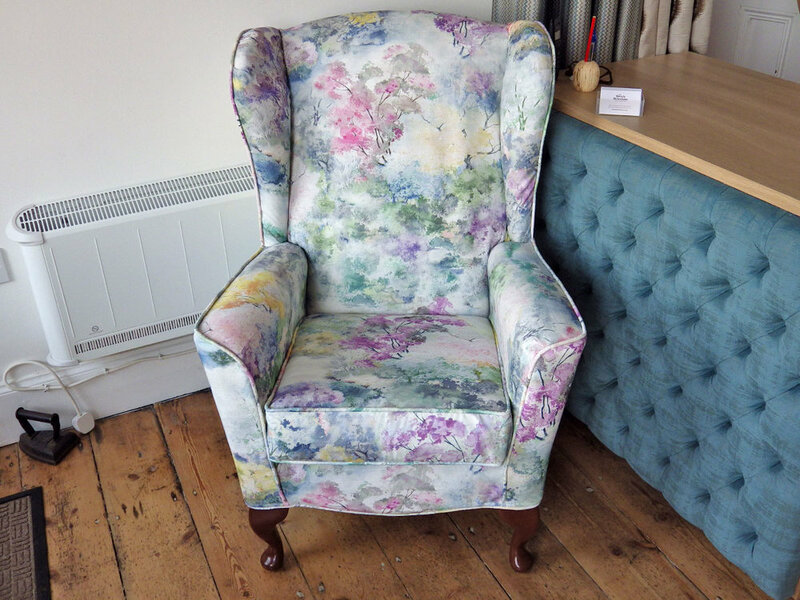 Two different styled chairs both looking lovely in the same material. This is a fibre Naturelle material - colour Bon-Bon. The white chair has been Re-Calicoed, and then we made loose covers for the chairs. A close up of the material is so pretty. 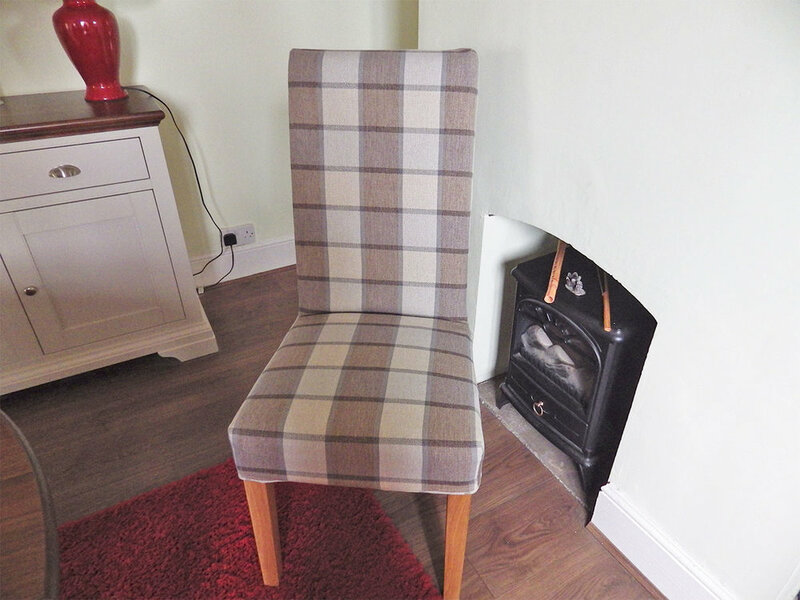 There are four dining chairs, it's a prestigious material colour - Bracken. The covers are removable and washable. The material made up lovely and looks stunning on these chairs. 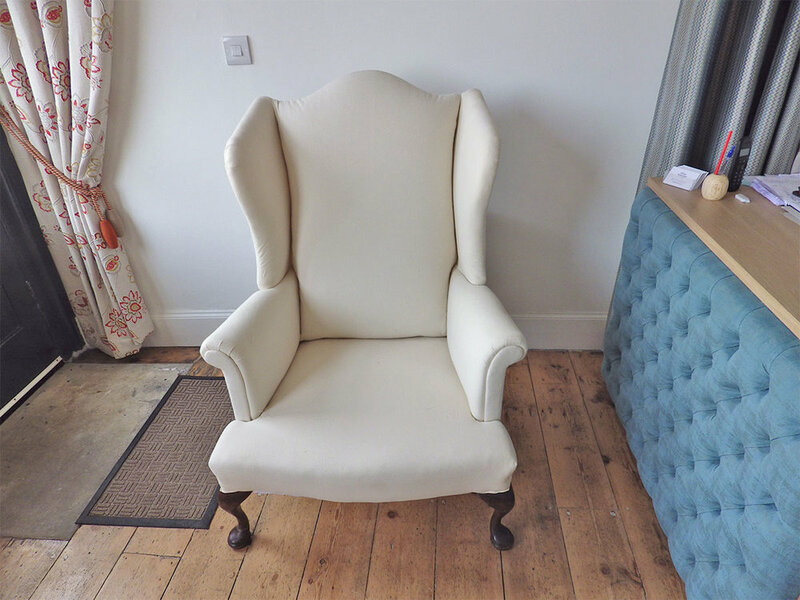 Two large chairs, all loose cover and washable. 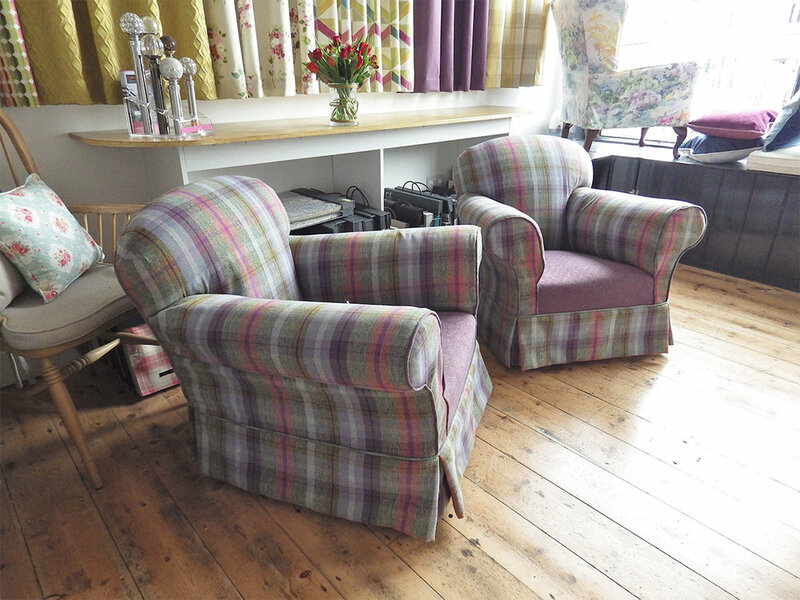 The material is a Prestigious material, both plain and check is colour - Heather. It's soft to touch, and warm to sit on. 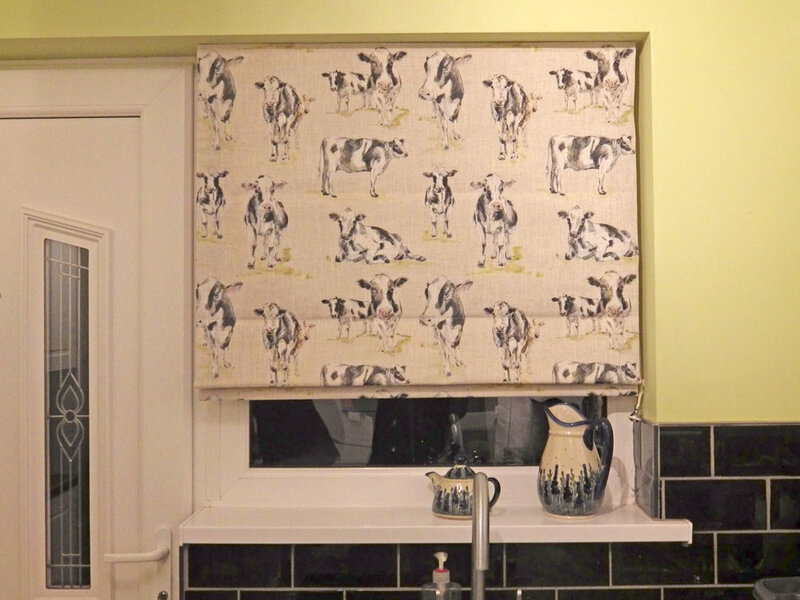 This blind is fun and adds a talking point to the window. It is easy to work with and the book comes with several farm yard animals to choose from. 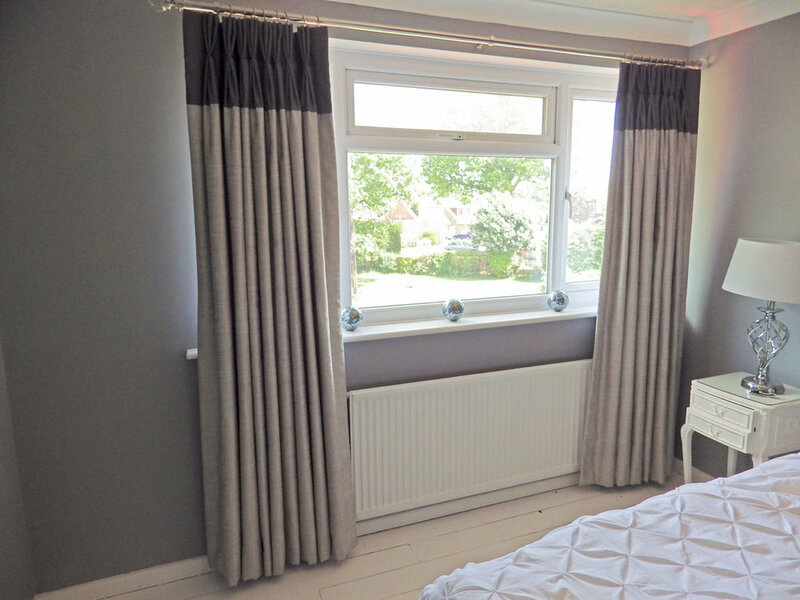 These French pleat curtains are made from several different fabrics, and are fully interlined, with blackout lining. Both pairs hang beautifully and I would recommend the fabric. 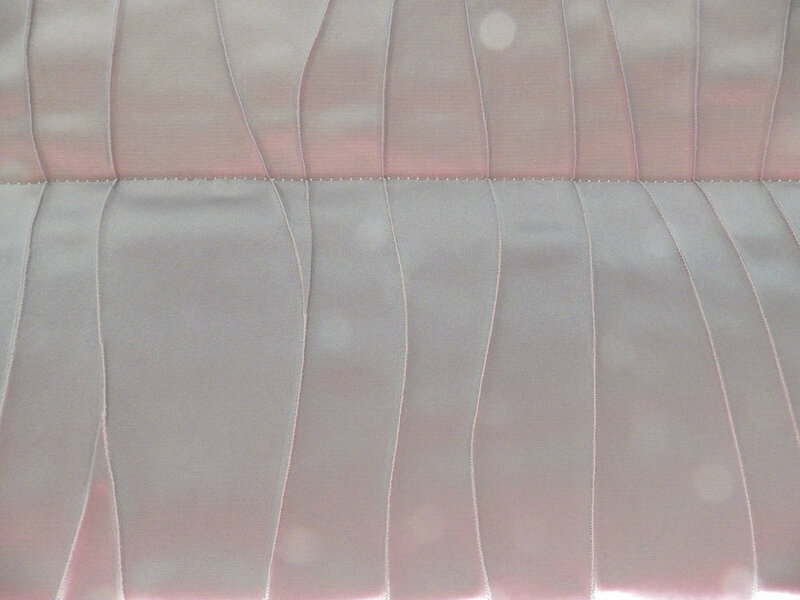 The pelmets and curtains are made from a Prestigious material, Design Azzuro. To look at it you would think it's a cotton/ linen material, but it has a brushed cotton feel to it. The chairs are upholstered . Design Harrison , colour Thistle. 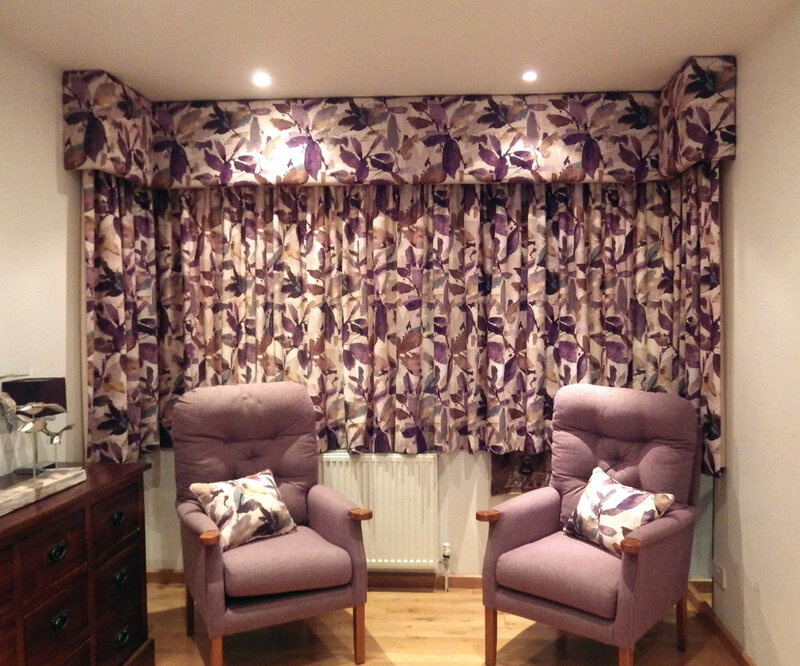 The whole job was a delight to do, I enjoy making pelmets and together I really think that they complement each other. The red settee is the before , and the patterned one is the after. 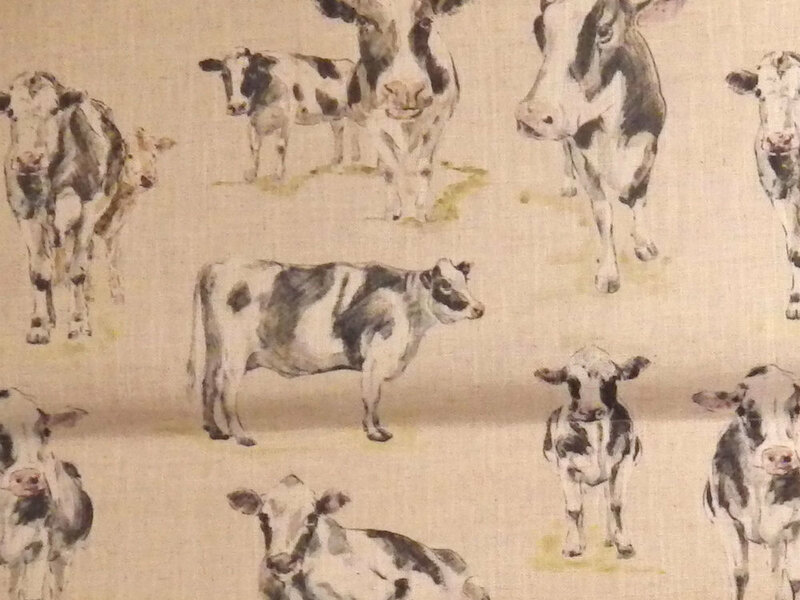 It is also a loose cover, but is the customers own fabric. On this one I changed the back cushions to make it more comfortable, and added a couple of scatters in a contrast to bring out the colours. It was fun to do and I really liked the fabric. 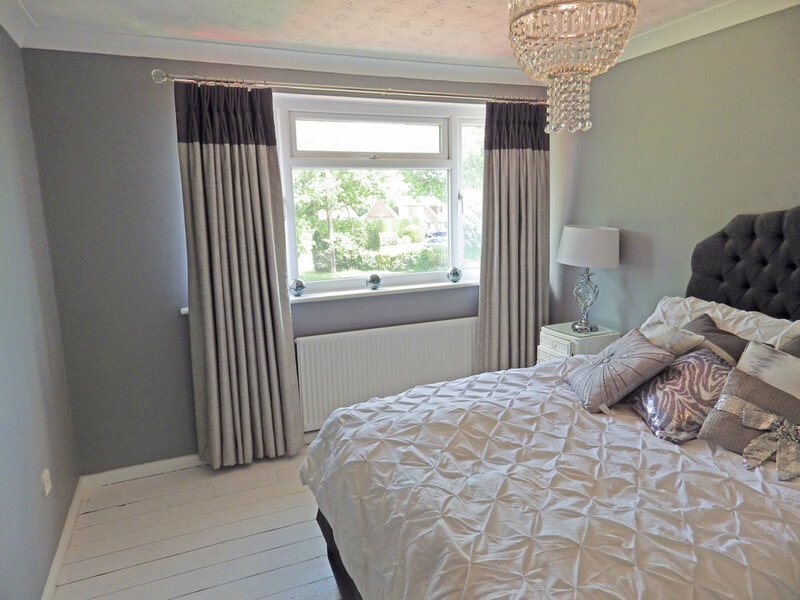 These curtains and pelmets are made from a Sanderson material , It is a linen blend and really pretty. It made up easily and hangs well. I enjoyed making all of these , especially the pelmets. Delightful curtains in this blue and red stripe they are interlined and lined they have plentiful pleat top and a co-ordinated tieback.